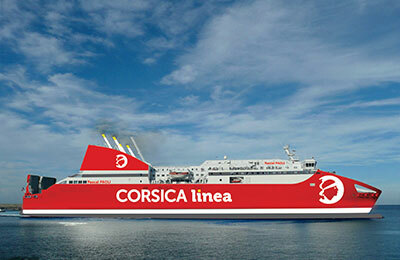 Corsica Linea operates between France, Corsica, Sardinia, Algeria and Tunisia. They have 11 ships (5 cruise ferries, 4 passenger and cargo ships and 2 high speed crafts) all of which sail under the French flag. 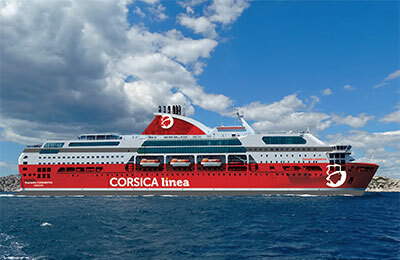 Sailings take place throughout the year, in fact over 3,500 crossings per annum and to enjoy the crossing in style their vessels have restaurants, a disco, lounge bars, a shop, games area, solarium, swimming pool and jacuzzi, among other things on board. Plus during the summer there is a programme of free entertainment for your children guaranteed to thrill the whole family.